US oil major ExxonMobil today reported its highest quarterly cash flow since 2014 as crude and natural gas prices strengthened. The Texas-headquartered firm chalked up third quarter cash flow from operating activities of £8.5 billion, compared to £5.7bn a year ago. Revenues increased by 25% to £59bn and pre-tax profits rose by 63% to £6.9bn. The firm produced 3.8 million barrels of oil equivalent per day, down 2% from the third quarter of 2017. Natural gas volumes decreased by 4% due to a continuing near-term shift in US unconventional development from dry gas to liquids. Highlights for the quarter included a ninth discovery offshore Guyana at the Hammerhead-1 well. ExxonMobil also increased its holdings in Brazil’s pre-salt basins after it won the Tita exploration block. The company has an interest in around 40 producing oil and gas fields in the North Sea and is responsible for about 5% of UK oil and gas production. Many of these fields are operated by Shell as part of a joint operation. ExxonMobil and Shell sold their stakes in the Triton cluster to Tailwind Energy in September. ExxonMobil Chemical operates the Fife Ethylene Plant in Mossmorran, Fife. The business’s main offices are at Leatherhead and Fawley in England and Aberdeen. It has more than 6,500 employees and 1,500 contractors in the UK. In excess of 3,000 people in the UK are employed at independently run Esso service stations. and Western Canada for our North American refineries. “The logistical network we’ve established provides reliable connectivity between upstream production and manufacturing facilities. “We’re pleased with the increase in production from the second quarter of 2018 recognizing it reflects contributions from just one of our key growth areas, the Permian. Biraj Borkhataria, analyst at RBC Europe, said: “We see ExxonMobil’s strategy as well placed in a positive macro environment. 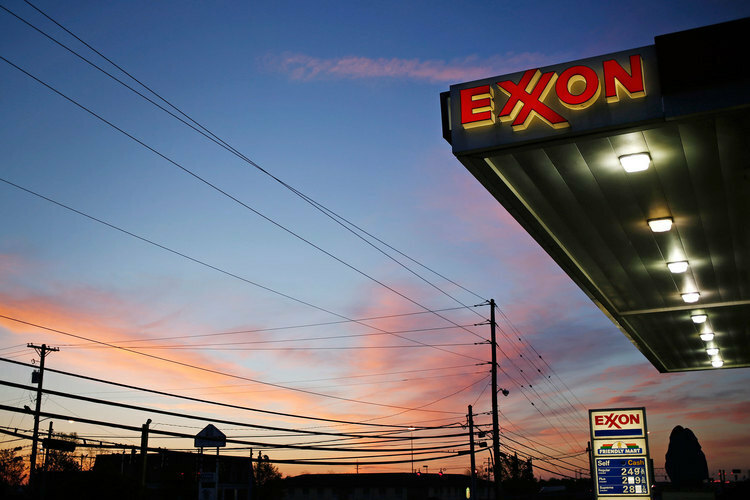 Although ExxonMobil’s investment may take some time to bear fruit, we could see shareholder returns increase in the near term if ExxonMobil ramps up its asset sales programme, providing excess cash proceeds to shareholders in the form of higher dividends and/or buybacks. “We recommend investors buy the dip around quarterly reporting volatility, where visibility on key moving parts is likely to be limited in the near term.